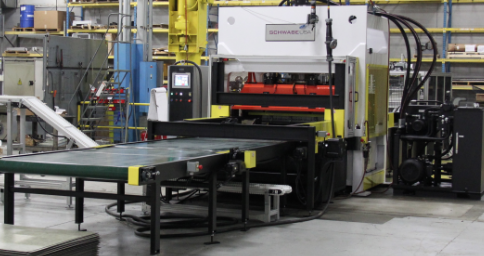 Schwabe USA supplies die cutting presses and cutting systems to the major global manufacturers in the Flooring Industry. 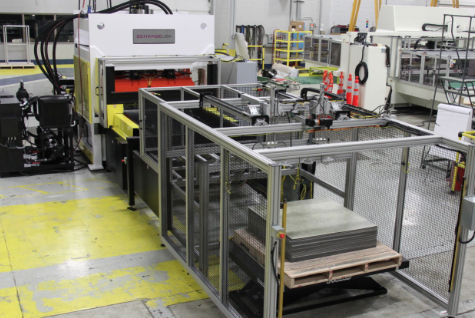 SCHWABE USA has developed robust die cutting presses specifically designed to cut carpet tiles, luxury vinyl tiles (LVT) for accurate and fast results. 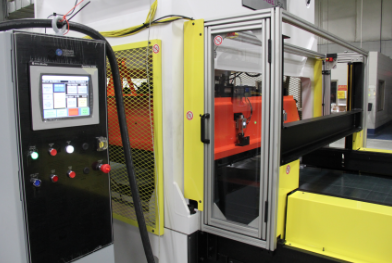 Die Mounting – Fixed position pneumatic die rails in head of press for Pieper style tooling, maximum weight of 4,500 lbs or kore if required. Twelve (12) Strokes per minute is Standard, faster cutting speeds optional. 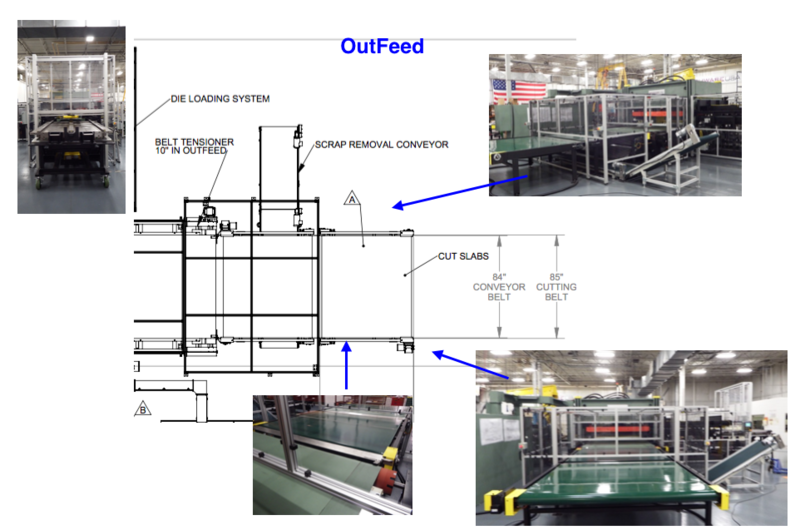 Rigid extruded aluminum framework with Lexan panels around feed system / press, including various electrically interlocked access doors with CE compliant switches. 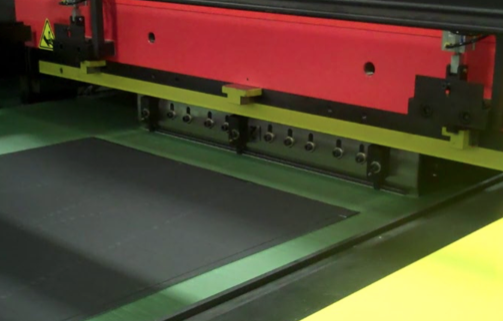 Fast and Accurate Die Cutting of Poly Vinyl Chloride (PVC) slabs in the manufacturing of luxury vinyl tiles and planks, for the floor covering industry. 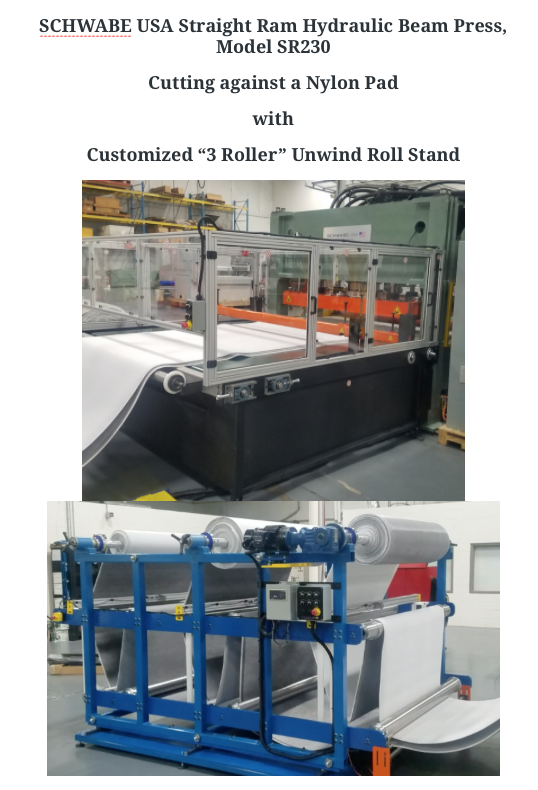 Die change rails are at located at both the Infeed and and Outfeed sides of the Schwabe SR Press which makes the die change operation quick and simple to execute, with minimum downtime. Eliminates the need for complex balancing systems. 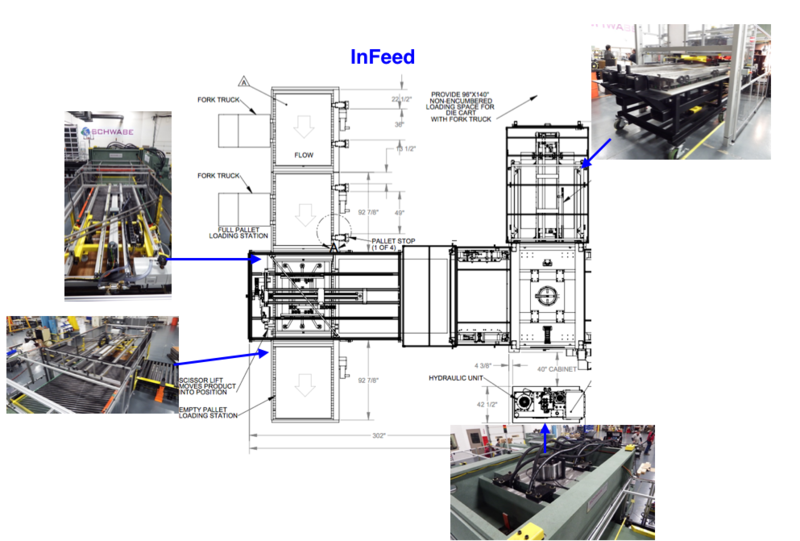 No Linkage involvement, means less scheduled maintenance and less spare parts inventory. 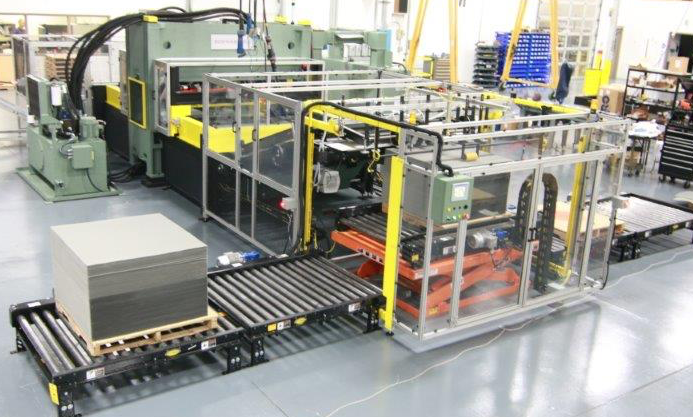 Schwabe SR hydraulic system is freestanding for easy access for maintenance. 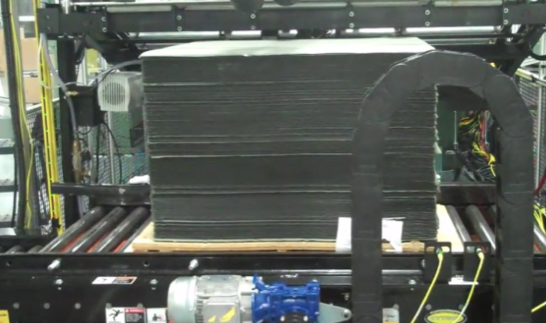 Sensors on machine press keep cutting die perfectly aligned to carpet material. 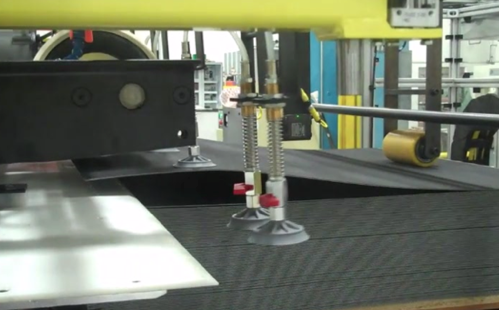 Carpet material is fed onto and cut on the cutting belt. Steering edge guide system keeps carpet material centered. Cutting die fixture moves to align die to printed carpet pattern.